BlogPlano RoofersIce and water shield versus metal are flashing versus rolled roofing, what should you choose? Ice and Water Shield :- It is also known as weather watch. It is a premium leak barrier, made out of rubberized membrane provides complete watertight seal. Thus, if you are facing the problem of leakage or any other issue, you must use the ice and water shield. It not only rests extreme conditions but at the same time provides 100% leak-proof seal, keeping your roof and house safe from the drip. Earlier metal flashings or double rolled roofing were used by the roofing contractors, but now ice and water shield have become popular. Metal Flashing :- As mentioned above, metal flashings was one of the first choices of the roofing contractors. The metals included copper, tin, galvanized metal, wood, lead or plastic. They were good but not as useful as ice and water shield. The metallic texture was prone to corrosion and withering thus sometimes could not guarantee 100% leakage, free guard. Metal flashings are used where a chimney, plumbing vent, skylight extend from the through. 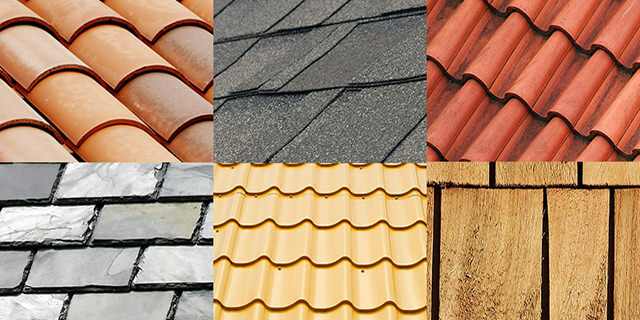 Rolled Roofing :- This is yet another favorite material used for shingle roofing repair, but again it depends on your budget and requirement, whether using the rolled roofing will serve the purpose. The best part about the rolled roofing is that you don’t need to be proficient; the homeowners can easily install it without any hassle. Read Here About Questions to Ask Your roof repair/replacement contractor?